Moorpark College will host a Cash for College Workshop for students and parents applying for FAFSA, Cal Grant and the California Dream Act. YOU DO NOT HAVE TO BE ATTENDING MOORPARK COLLEGE! This is a free community event! You must register to attend. See the flyer or visit www.vcccd.edu/cashforcollege. What is Financial Aid and How Do I Get It? Links are offered for your convenience in accessing related information, but do not constitute an endorsement. TOHS takes no responsibility for the views, content or accuracy of the information presented by an external source. Financial aid programs provide support for students to help meet the costs of obtaining a college education. Funding is provided by the federal and state governments, the individual colleges and universities, and a variety of other public and private sources. Financial aid is split up into two categories: achievement based aid and need based aid. Achievement based aid is awarded to students who have a special characteristic, a skill, talent or ability. Typically achievement based aid is in the form of scholarships. Need based aid is provided to students who demonstrate financial need. Most financial aid, particularly public funded aid, is awarded on the basis of financial need determined through the application process and in accordance with a prescribed federal formula. There are four basics types of financial aid programs available: grants, loans, scholarships, and work-study. Most often, financial aid comes to you in the form of a package consisting of a combination of the different types of aid available. The combination of aid offered depends on the availability of funds, your eligibility, the timeliness with which the application process is completed, and your year in school. What is Financial Need? Financial need is determined according to formulas established by the federal government. Using those formulas, the information supplied on the Free Application for Federal Student Aid (FAFSA) is used to calculate an expected family contribution This is the amount that the student and family are expected to pay for college costs. This amount is subtracted from the total cost of attending college, and the difference is financial need. Who Should Apply For Financial Aid? 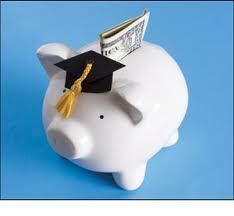 If a student and his/her family need help to pay college expenses, he/she should apply for financial aid. To be considered for financial aid such as grants, workstudy jobs, and student loans, you must submit the FAFSA. There is no charge for filing an application. Even if you think you may not qualify for financial aid, it is a good idea to file the FAFSA anyway. The application is not long and the potential rewards are great. All of the information submitted on the application form is confidential and released only to the financial aid office at the campuses the student lists on the form. How Can I Get The Most Financial Aid Available? File the FAFSA as early as possible beginning October 1 and before the March 2 priority filing date, apply for a Cal Grant and submit a verified GPA prior to March 2, and respond promptly to all instructions or requests for additional information from the financial aid office. How Do I Apply for Financial Aid? The U.S. Department of Education's FAFSA website provide for online completion of the student application. You can access the FAFSA online at www.fafsa.ed.gov beginning October 1st each year. The deadline to apply is March 2nd, so do not delay. It is recommended that students file online because there are built-in-edits. It is faster and more efficient. **Please use the ".gov" website to fill out the FAFSA form. If you use a ".com" FAFSA website, you WILL be charged by a company that is NOT the government program! Are Grades or GPA Considered in Determining Eligibility for Financial Aid? While your grades do not play a major role in determining eligibility for financial aid, academic criteria do come into play. Students must meet the institution's admission criteria that typically include some consideration of grades or other measures of academic achievement or potential. Financial aid recipients are required to make satisfactory academic progress toward their degree or credential objective. Institutions establish standards of satisfactory academic progress and monitor the progress of aid recipients. According to federal regulations, aid recipients must have a C average or a 2.0 GPA at the end of their second year. Information drawn from csumentor website. This is an incredible grant opportunity for high school graduates in Ventura County. Check it out here!